Users can cast daily votes for Grand Rapids on Walmart's Facebook page. Listen closely, and you can hear the clatter of keystrokes as thousands of Grand Rapids residents advocate for the city’s hunger-relief organizations. Today marks the beginning of Walmart’s Fighting Hunger Together Facebook campaign. As part of its corporate commitment to fighting hunger, retail giant Walmart has compiled a list of the 200 U.S. cities with the highest unemployment rates and asked Facebook users to vote on which will receive funding to fight hunger. The winning city will receive a $1 million grant, and the top 20 after that will receive grants of $50,000. The money will be divided among each city’s hunger-relief organizations as chosen by the Walmart Foundation. In January 2012, the unemployment rate in Grand Rapids was 7.4, a two-point decrease from the same time last year, according to the Bureau of Labor Statistics. A decrease in unemployment, however, does not mean a lack of hunger. By Feeding America’s most recent count, 15.2% of Kent County residents were food insecure; among children, that number was 23.2%. Feeding America West Michigan Food Bank, one of the organizations a Walmart grant could reach, ships donated food to more than 1,300 food pantries and shelters in West Michigan and the Upper Peninsula. Our organization is able to provide the equivalent of three and a half meals for every dollar donated. Even a tenth of the first-place grant could provide 350,000 meals to families in need. Access of West Michigan coordinates a network of 75 food pantries in Kent County. For ACCESS, a Walmart grant would mean the ability to serve these pantries more effectively. “We would love to be able to purchase equipment to help the pantries get more food to more people,” said Emma Rosauer, hunger response director for Access. Grant money could also help Access delve deeper by providing additional funds for employment help, cooking and finance classes and mentoring programs. Grand Rapids residents may recall that in the last Fighting Hunger Together campaign, which concluded Dec. 31, 2010, Grand Rapids briefly held the number-one spot in the country until users in other cities began to exploit a flaw in the voting system. This year, Walmart has limited users to one vote per day. In spite of this, Grand Rapids’ ability to raise a tide of Facebook users rivaling that of the nation’s largest cities is remarkable. Kids’ Food Basket, Jeff Barrett of Status Creative, the Food and Nutrition Coalition, and Access of West Michigan have so far committed to spreading the word about the campaign. Barrett, who led the 2010 social media effort as a part of Heart of West Michigan United Way, is again mobilizing Facebook users to join the cause. “Even though we didn't win, we created awareness for food insecurity that didn't exist before. That's the goal again this month. First and foremost, we want to get people thinking again about their community and what we can do to make it better. 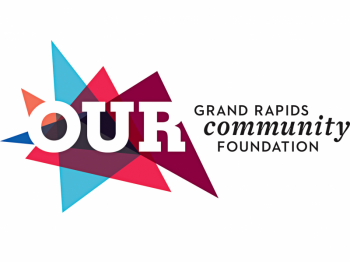 To cast your vote for Grand Rapids, visit Fighting Hunger Together on Facebook. The campaign runs through April 30, giving users who begin today 21 chances to vote for Grand Rapids.